I’m a really, really big fan of the Who What Wear line at Target. 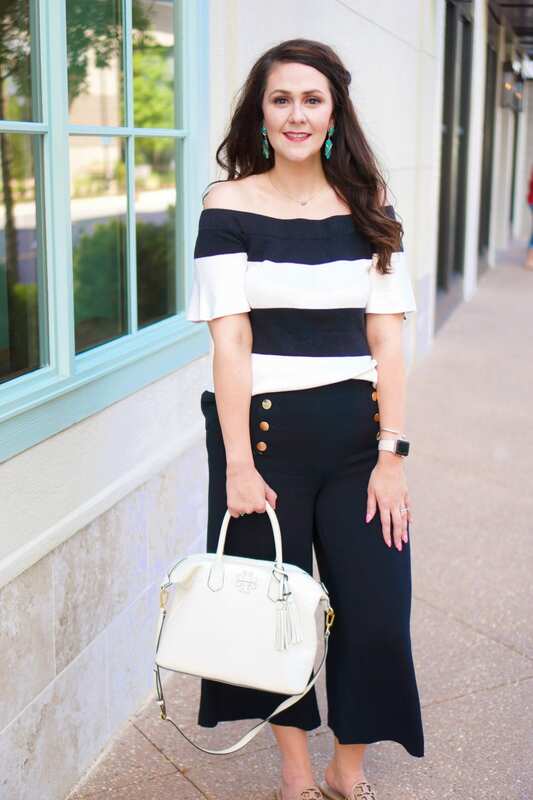 The Who What Wear line is full of on-trend pieces that will take you from the office to date night in a pinch. Plus, the line comes in a full range of sizes and is super affordable! Both my skirt and shoes are Who What Wear finds! I spotted this skirt on the clearance rack at Target and was like, “YYYYAASSSS!” Micro pleats are super on-trend for spring, and this midi skirt can be worn year-round. Totally score! Now the heels, on the other hand, were not on sale. When I say that I rarely pay full-price for anything, I mean it (the last time was for a Lilly Pulitzer pop-up print when I was on vacation last July) but these shoes were too fabulous to pass up. Velvet shoes are all the rage right now. Plus, this color was selling out quick. And believe me when I say they were worth it! This winter, I’ve been all about mixing textures. 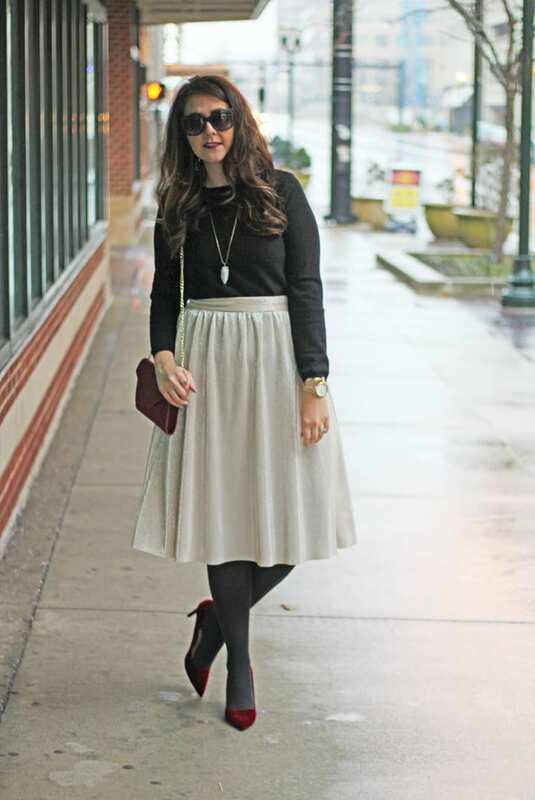 I knew I wanted to wear this silky skirt and these velvet heels together. I added a warm sweater and smooth tights in black. My jewelry is neutral too so as not to compete. Altogether, this outfit makes a perfect date night look for winter but will transition well to warmer weather! You can easily ditch the tights. The gold skirt will be perfect for spring with a bright top or white tee and some fun sandals.